Two of the most powerful automakers in the world are coming together for a global alliance that is expected to boost competitiveness and better serve customers. 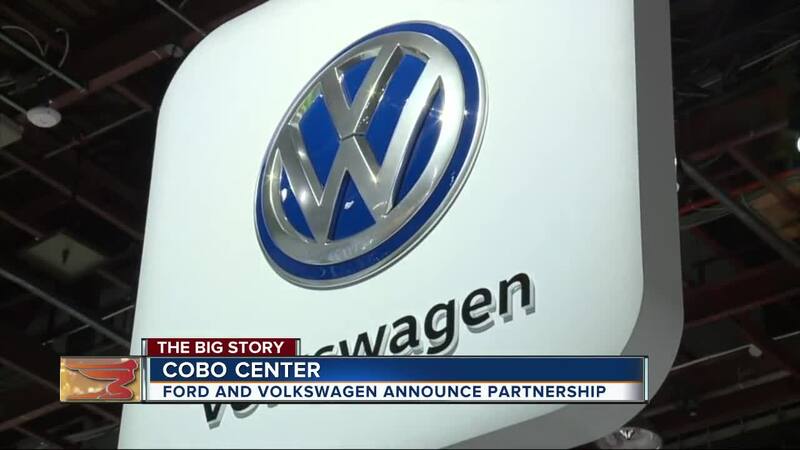 (WXYZ) — Two of the most powerful automakers in the world are coming together for a global alliance that is expected to boost competitiveness and better serve customers. The alliance between Volkswagen and Ford was announced on a press conference call-in Tuesday morning. One of the main points of the partnership will be to help develop commercial vans and medium-sized pickup trucks for global markets beginning as early as 2022. It will not include cross-ownership of the companies, and it will be governed by a joint committee. "The alliance will drive significant scale and efficiencies and enable both companies to share investments in vehicle architectures that deliver distinct capabilities and technologies," the press release says. 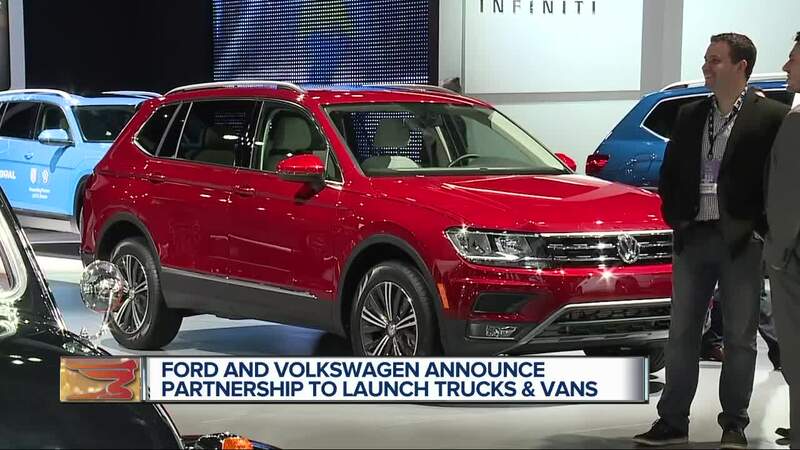 Volkswagen CEO Dr. Herbert Diess and Ford CEO Jim Hackett said the development of van and pickups will help improve operating results beginning in 2023. Hackett and Diess will lead the joint committee which will also include senior executives from both companies. Also, it's expected the alliance will allow both companies to work on autonomous vehicles, mobility services and electric vehicles, saying they have already started to explore opportunities. They will continue to work through details in the coming months, and they may also add additional vehicle programs in the future. “Volkswagen and Ford will harness our collective resources, innovation capabilities and complementary market positions to even better serve millions of customers around the world," Diess said in the release. "At the same time, the alliance will be a cornerstone for our drive to improve competitiveness." Both companies expect demand for commercial vans and medium pickups to expand in the next five years, and it will enable both companies to share development costs, boost capability and competitiveness and deliver cost efficiencies. It's expected that they will maintain their distinct brands, as well. Through the alliance, Ford will handle the engineering and build for medium-sized pickups for both companies, as well as intending to engineer and build larger commercial vans for European customers. VW will develop and build a city van, the release said.